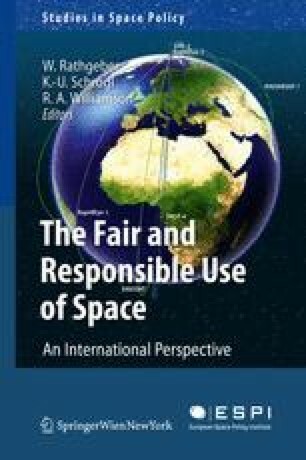 Fifty years of contemporary space history demonstrate that uses of space and its natural resources serve mankind’s critical needs and interests. We are facing a growing awareness of global interdependency in which worldwide approaches to economical issues are necessary to face major global crises. The UN’s challenge is to assume the leadership needed to respond in a fair and responsible manner to this unprecedented situation. Transforming their unequivocal diagnostic platforms into an operational delivery process suited to societal needs seems to be a central institutional objective.